Happy Wednesday! Y'all, it finally stopped raining! This is our first day of sunshine since Saturday and it makes me so happy. It dropped thirty degrees and has rained nonstop. So gloomy! My overall mood is much happier when the weather is in the 70s and sunny! I think that's just the perfect combination. On the bright side, our flowers and vegetable plants are doing great after all of the rain! Fresh tomatoes, cucumbers, and lettuce here we come... but I am not going lead you to believe that I have any sort of green thumb. My husband is definitely responsible! I'm not good at taking care of plants but at least I'm a good at taking care of my kids, lol! 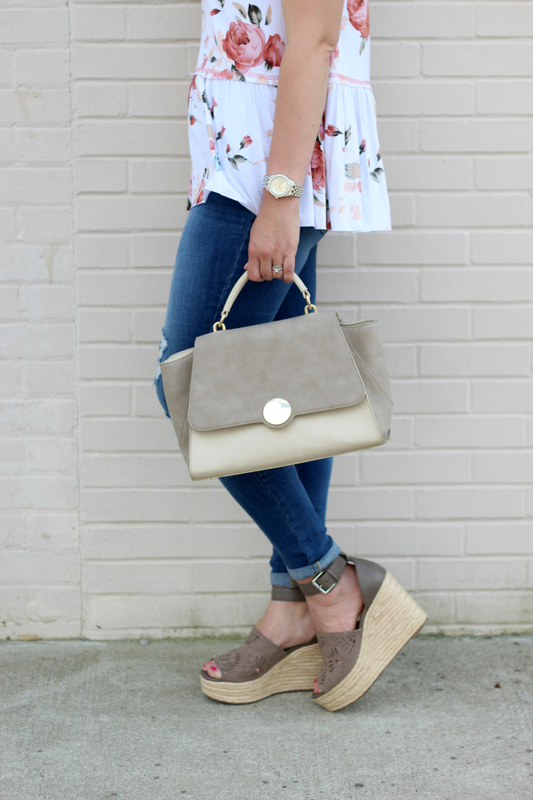 Today, I'm styling this gorgeous Bryson top from Gray Monroe, one of my favorite places to shop online! I absolutely love peplum tops but to be honest, I can't always find ones that fit me the way I like them too. I like my peplums to be loose fitting and long enough (no crop tops for this mama). I also really love tops that are casual and comfortable enough for me to wear to work. 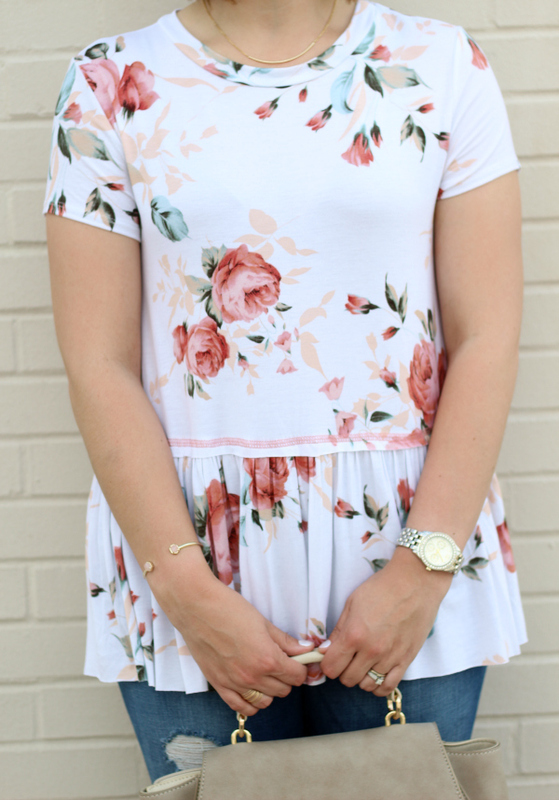 This top is everything I have ever wanted in a peplum plus the fabric is seriously soft! The floral print and colors are gorgeous, too. I styled it with distressed denim, espadrille wedges, gold jewels, and a neutral satchel for the perfect spring weekend look. I feel so pretty in this peplum! What a darling top, it's so cute! 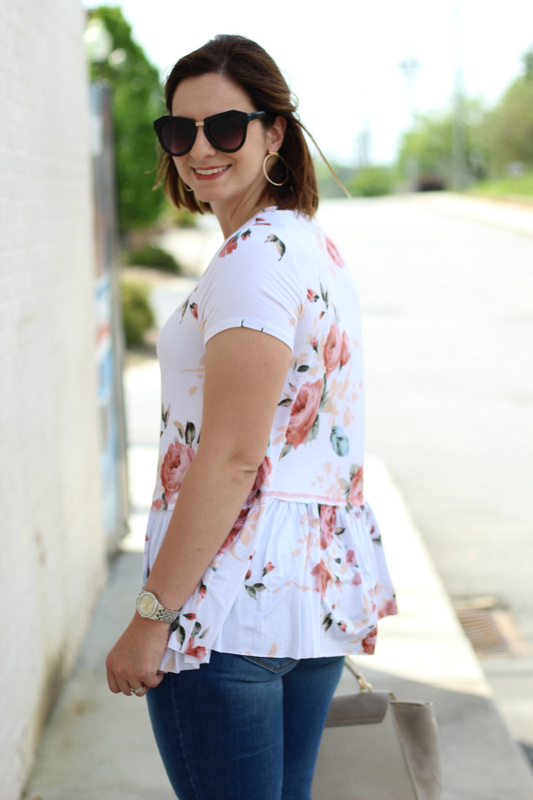 I love this floral peplum! So cute on you! 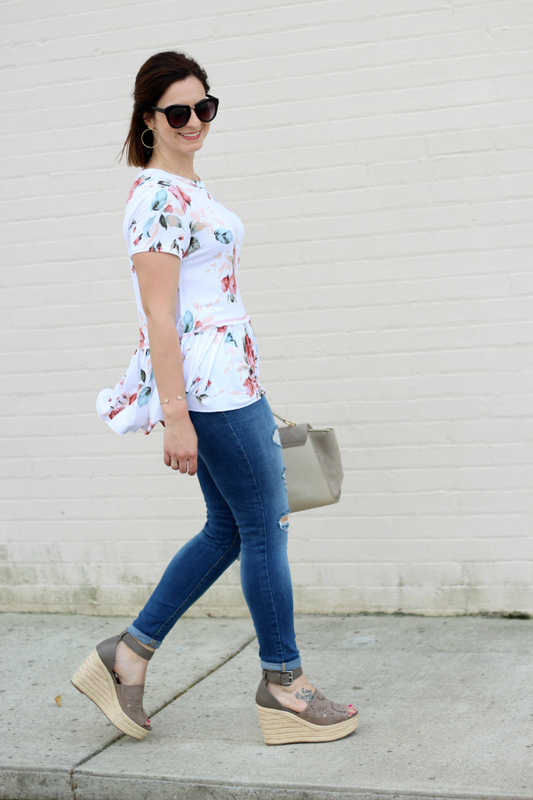 What a perfect spring top! Love how it looks with the dark jeans and cute shoes! Nice job! such a pretty top, love the floral print! I love that top on you! It is so flattering and feminine. 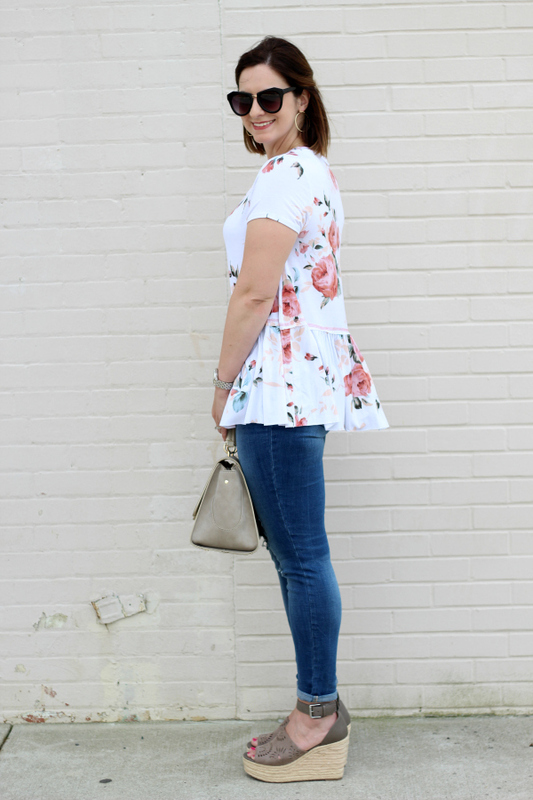 Peplum is a great trend and I hope it never goes out of style!